Trying to figure out just what has been added to Netflix and Amazon Prime every month and adding things to your queue kinda feels like the movie lover's version of dumpster diving. Fortunately you don't have to swipe around your App or scroll and click your way around the website because here's the list! Some good stuff added this month. If you're a fan of Disney movies quite a few have been added (including but not limited to The Mighty Ducks movies I watched about 1,000 times when I was a kid), but if you prefer darker stories Netflix didn't forget about you. 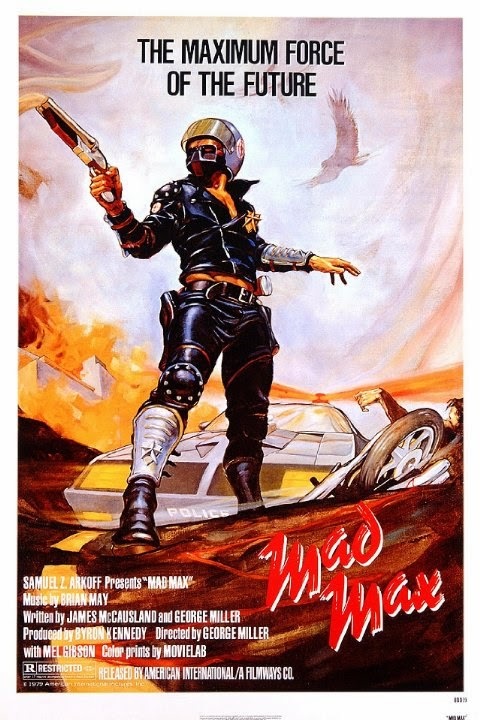 The original Mad Max has been added amidst excitement for the new Mad Max: Fury Road starring Tom Hardy in the role of Max (set for release May 15, 2015). Also, the Rocky movies made there way to Netflix all at once if you'd like to have a Rocky marathon. And if you've been trying to keep up or catch up with some of the more obscure films from 2013 and so far in 2014, a decent number have been added or will be added this month. The first season of BoJack Horseman, an original Netflix animated series featuring the voices of Will Arnett (Arrested Development), Alison Brie (Community), and Aaron Paul (Breaking Bad) will be released August 22nd (check out a trailer below). A good number of things have already been added, but some we can expect later on this month.